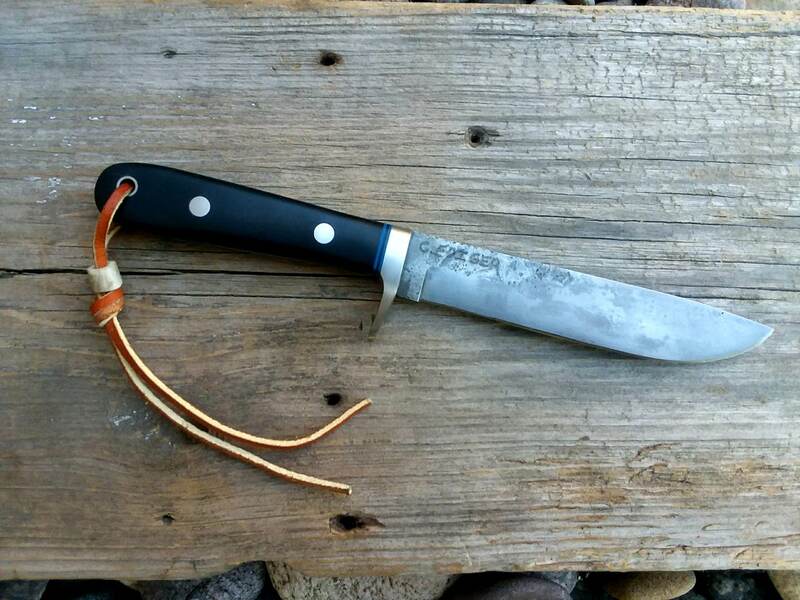 Here is one I finished up this summer modeled after the puma hunter's pal. 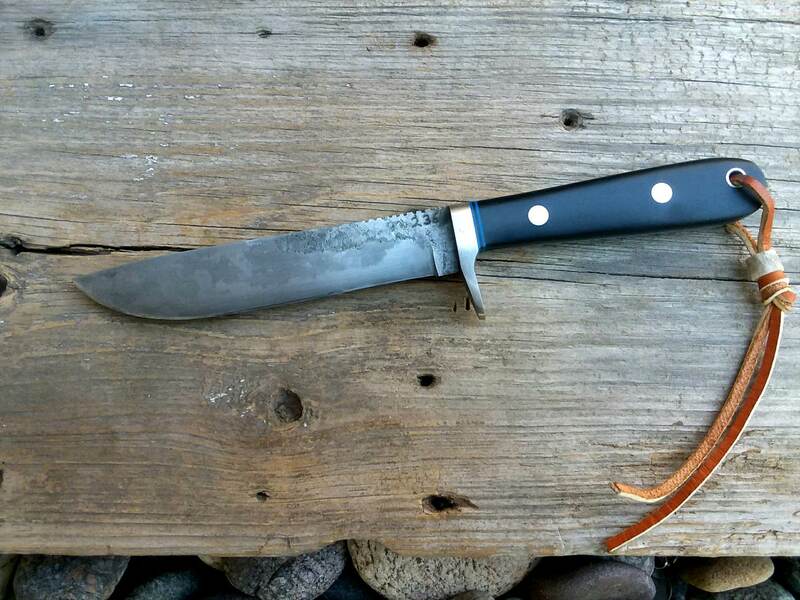 This knife has a Micarta handle with blue liners, 1095 steel and stainless guard and pins. That’s an awesome blade buddy!